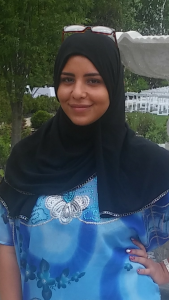 I am a Junior at Dickinson College and I am a psychology major with an Arabic minor. I was born and raised in Egypt until my family decided to move to America in 2009. Now we live in Chester, Pennsylvania. Because of the new addition to our family of my brother who is now seven years old and my sister who is now four years old, and my experience as a coordinator with the Salvation Army Kids Program, I found myself loving and wanting to work with children. I hope to one day work with children who are immigrants or have multiple cultures just like me. I have not yet decided on which way I would like to work with children but hopefully, I can figure it out soon. In my free time, I like to hang out with friends, have dance parties and watch movies. A lot of movies! Any kind but my favorite genres are comedy and romance.